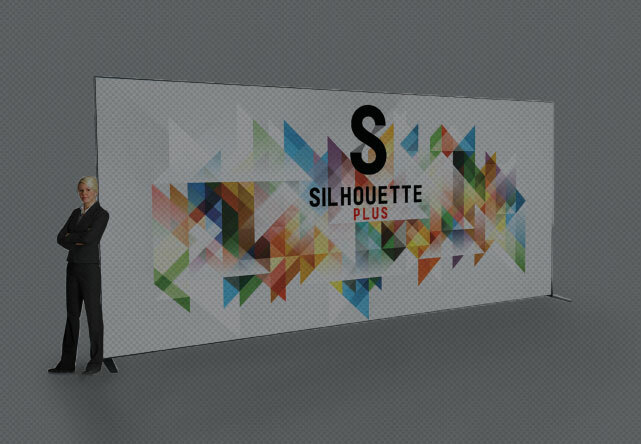 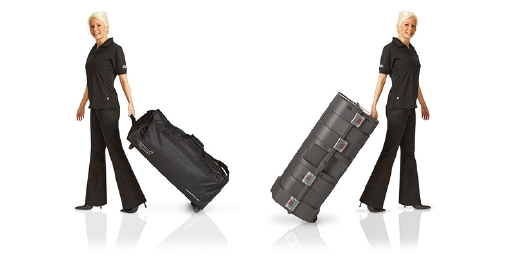 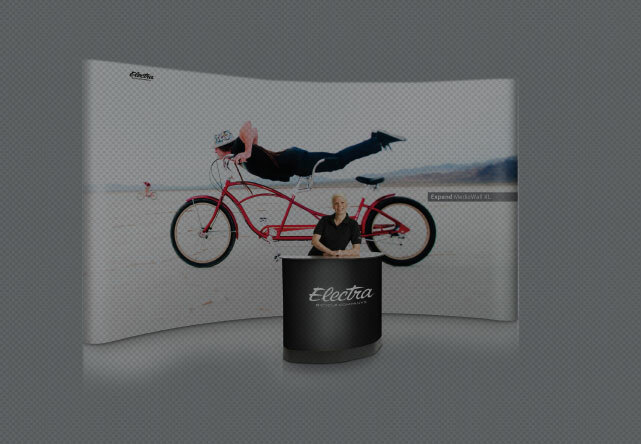 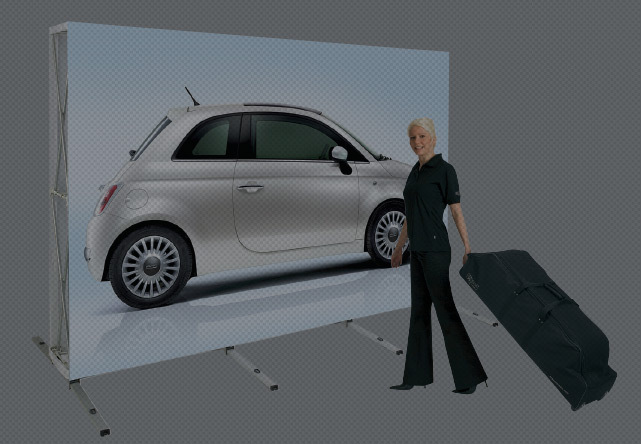 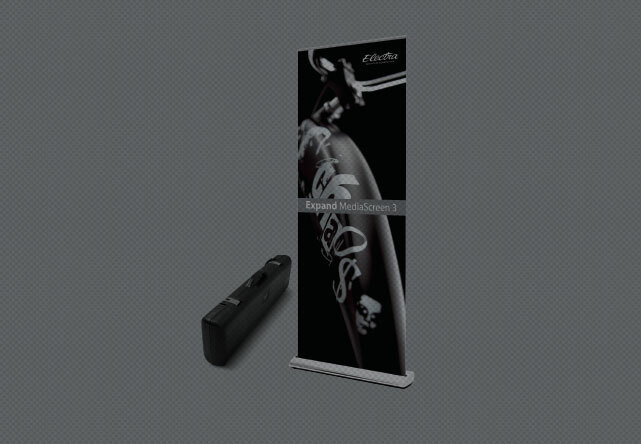 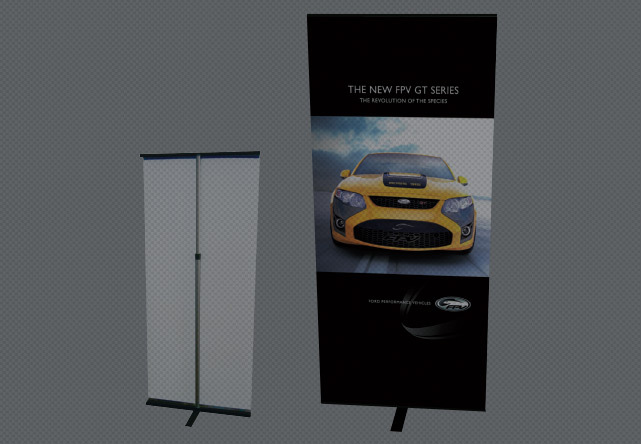 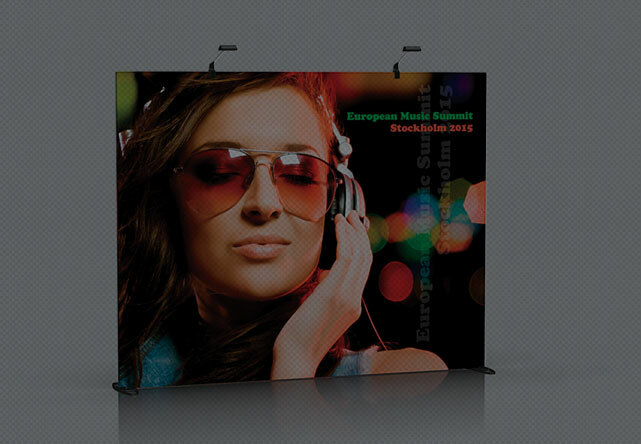 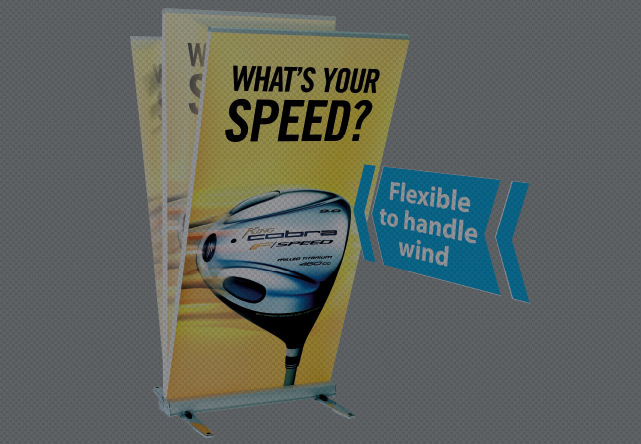 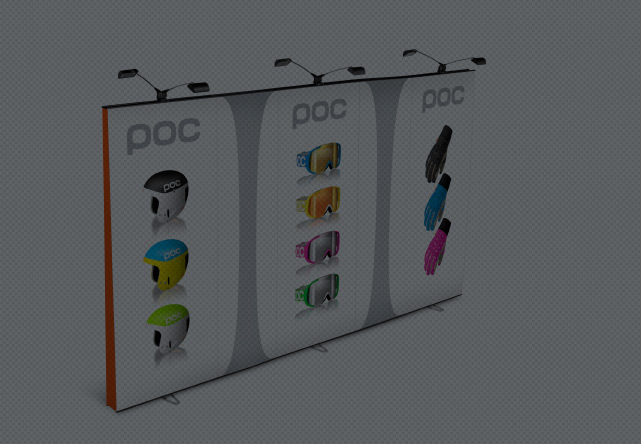 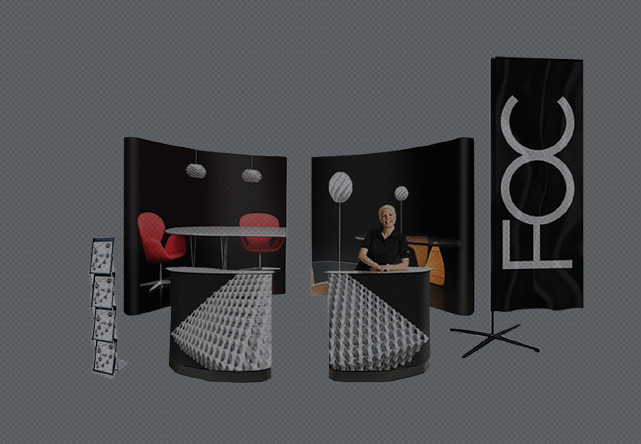 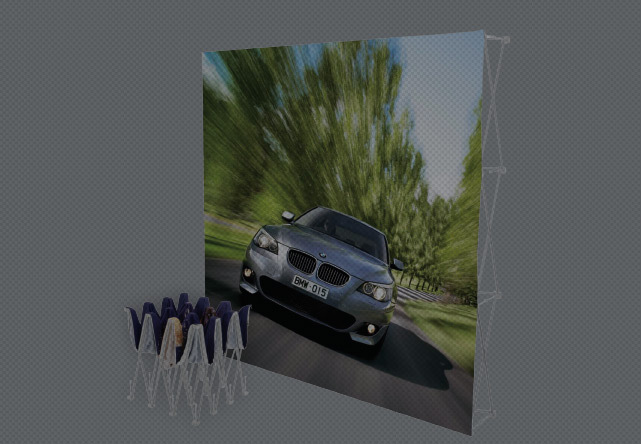 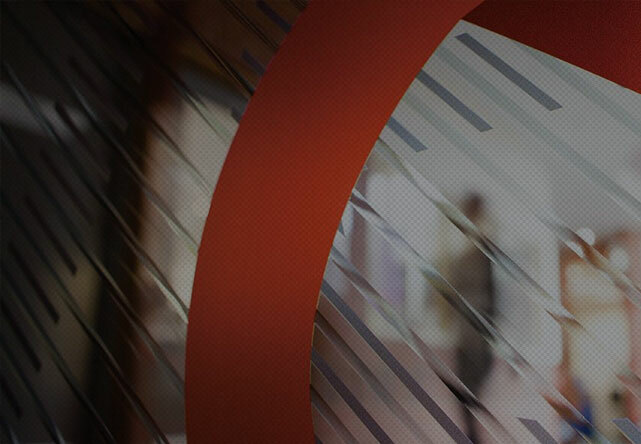 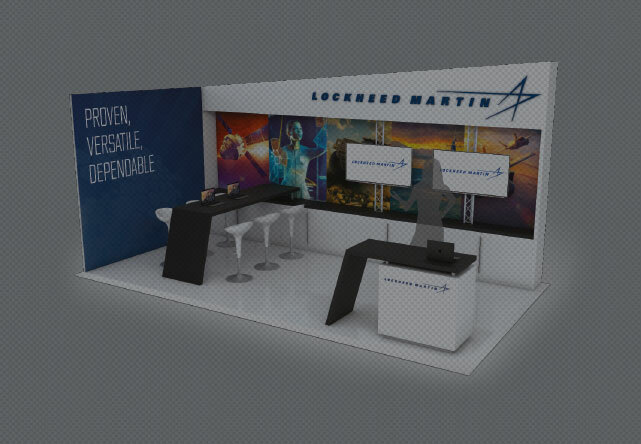 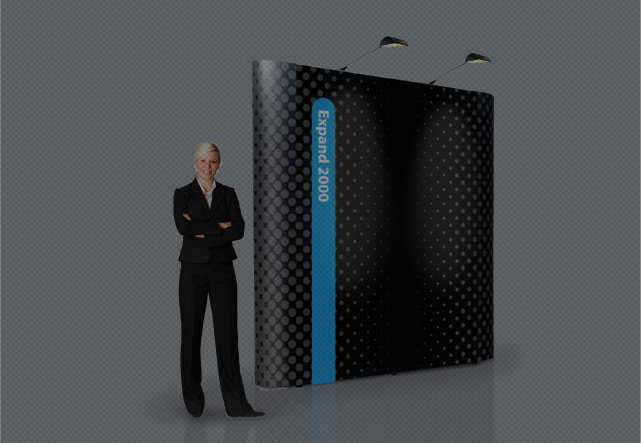 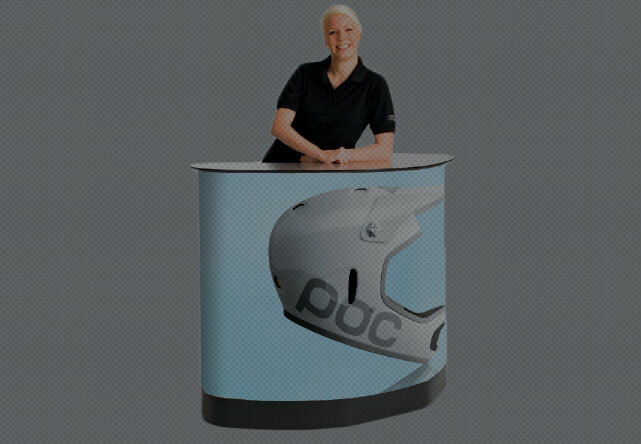 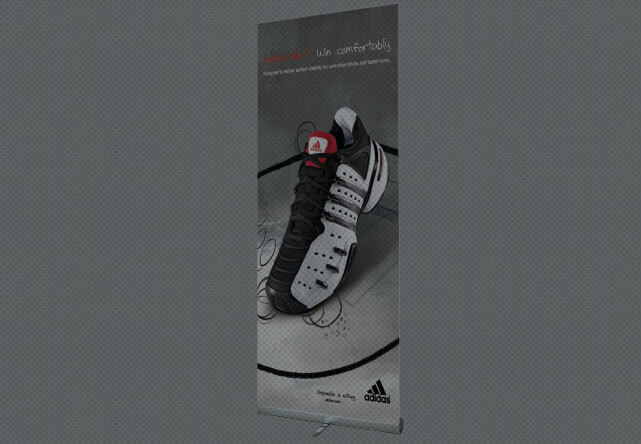 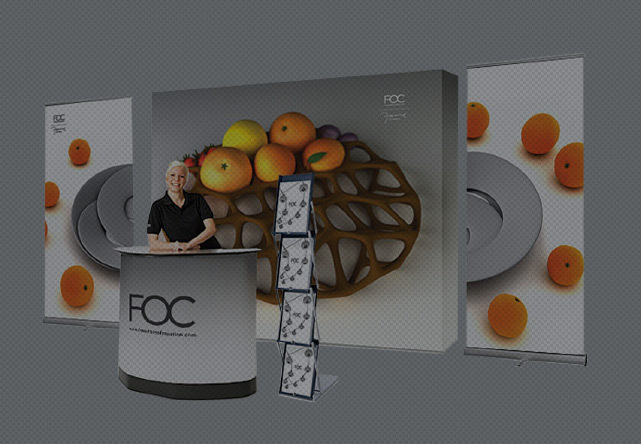 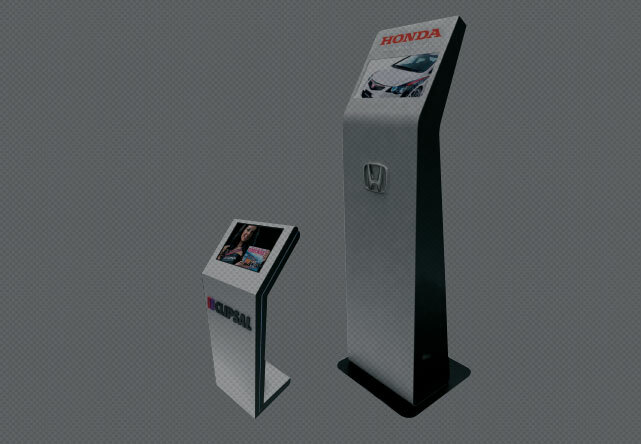 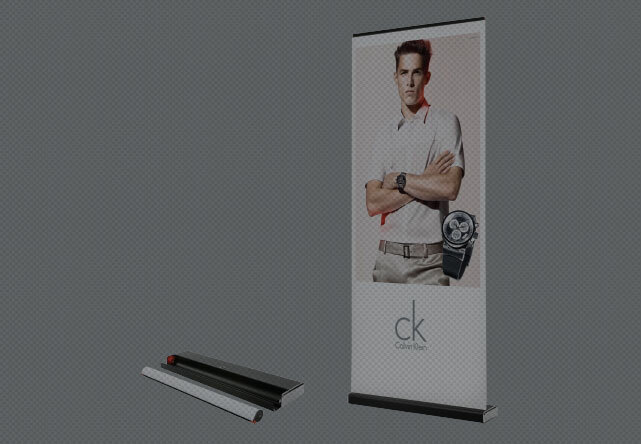 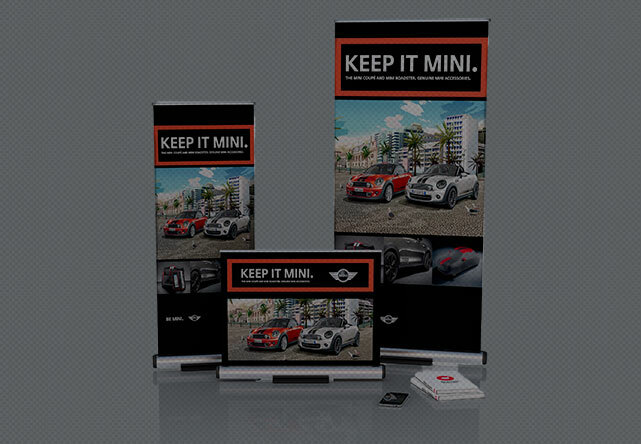 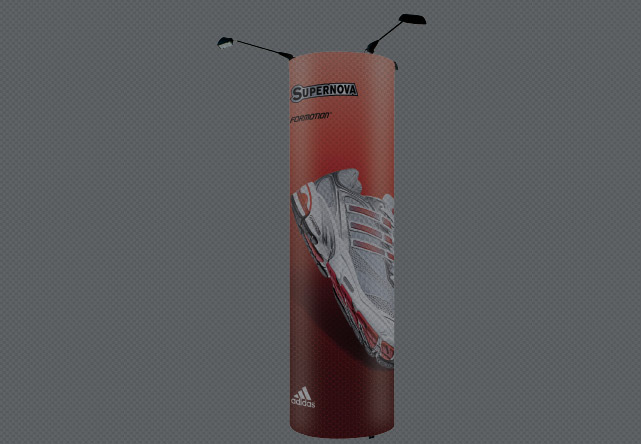 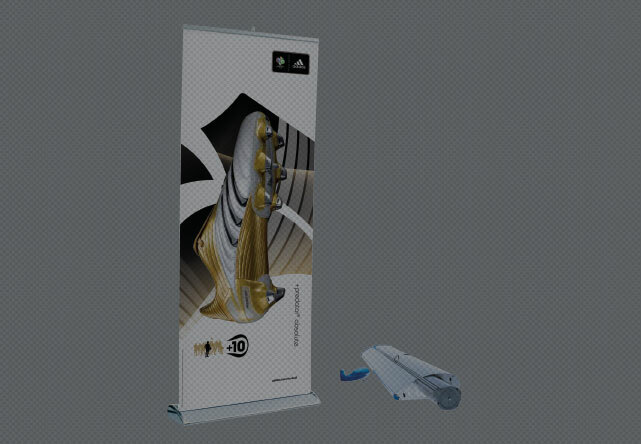 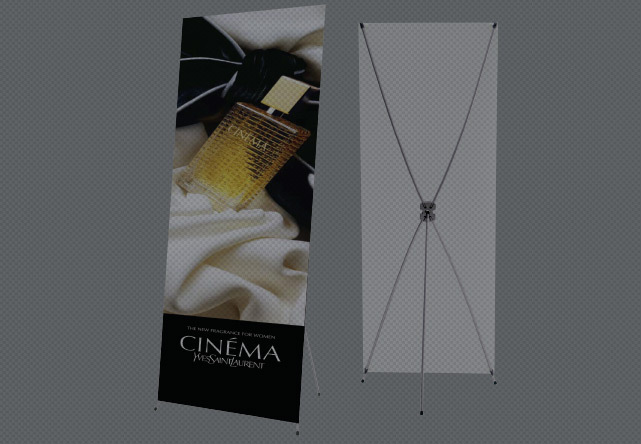 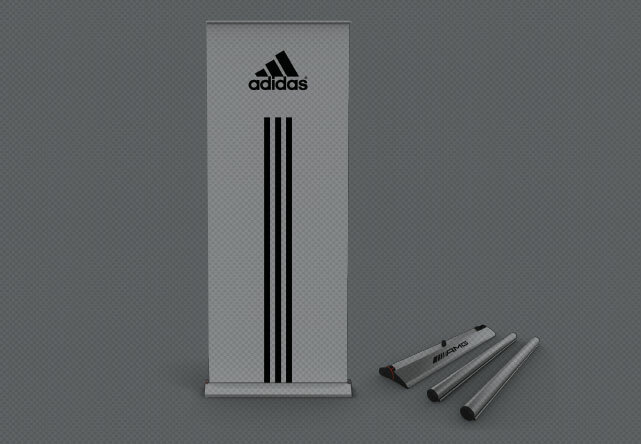 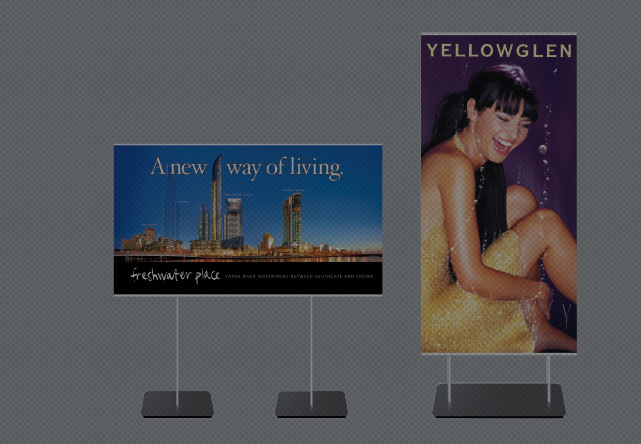 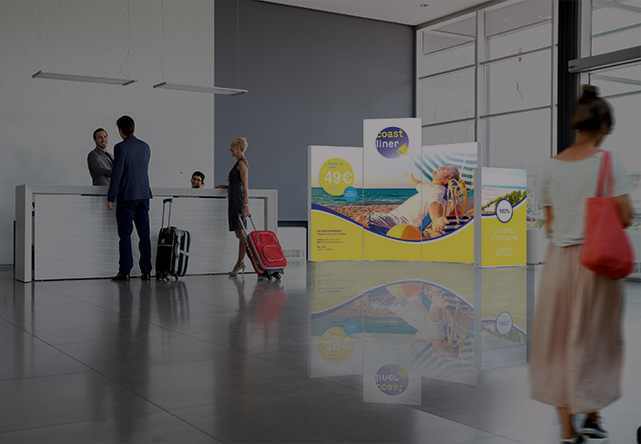 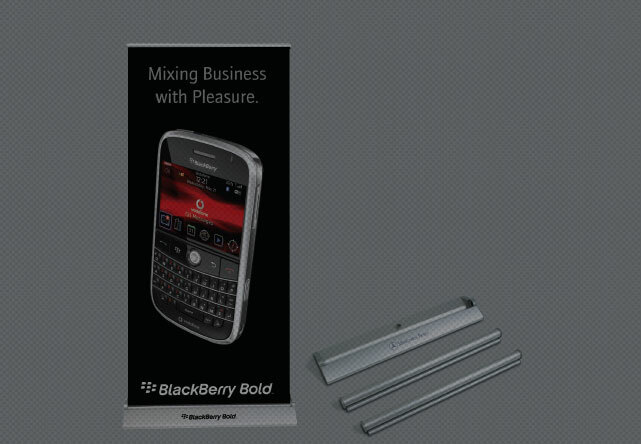 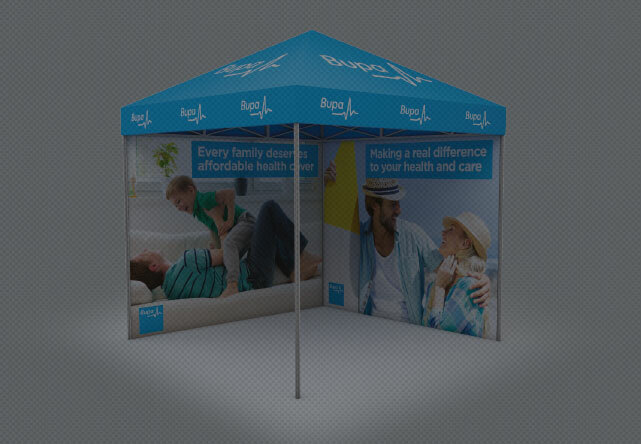 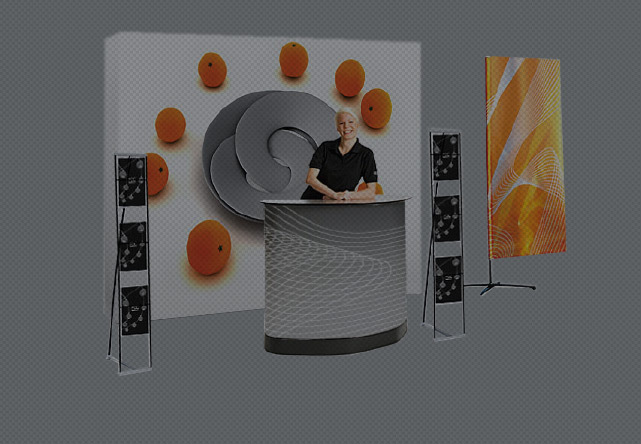 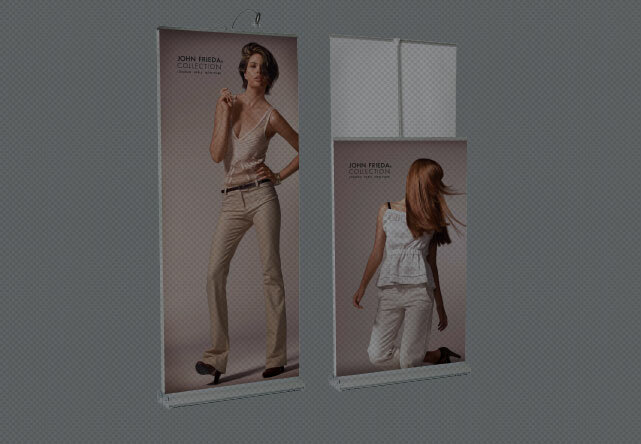 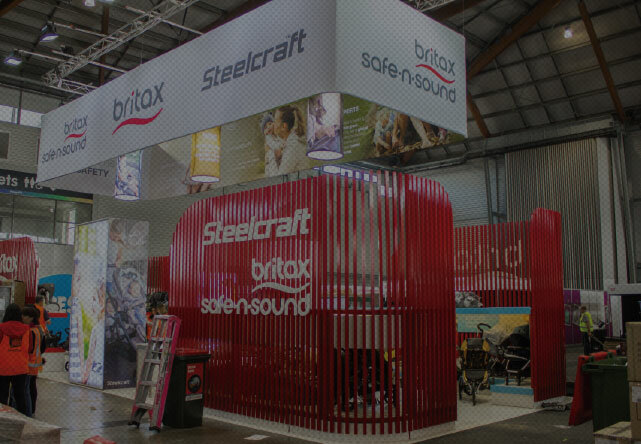 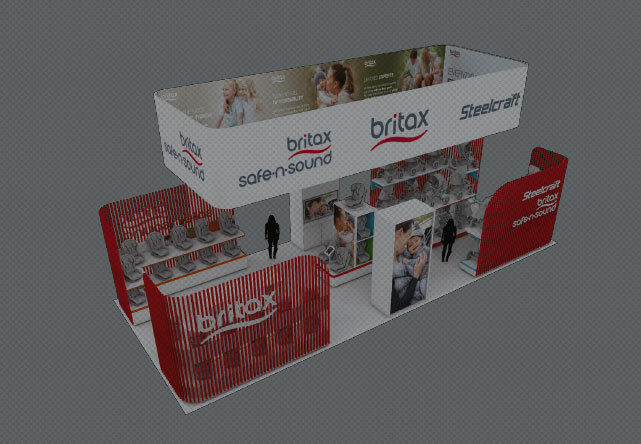 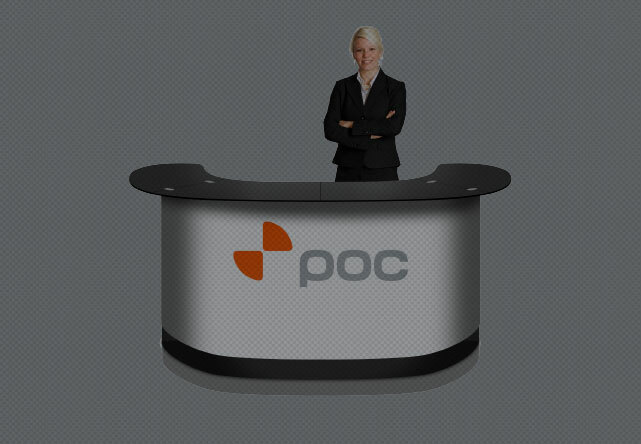 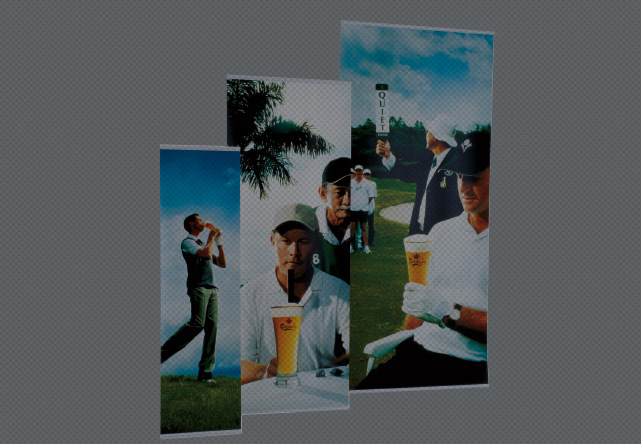 A simple, large, high impact stretch fabric display that packs up into a transportable case or bag for easy transport. 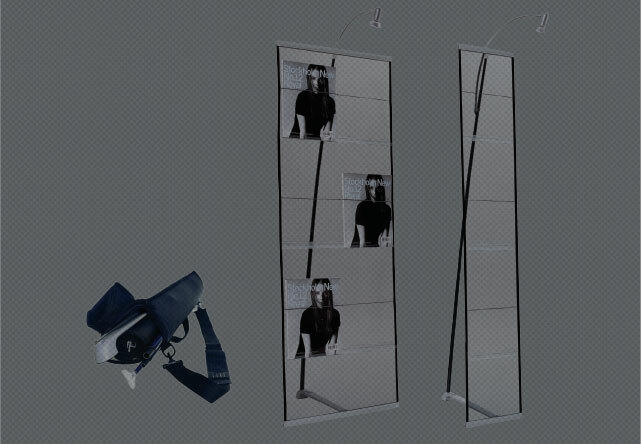 Connect the profiles, pull over your pillow case fabric, add the feet – READY! 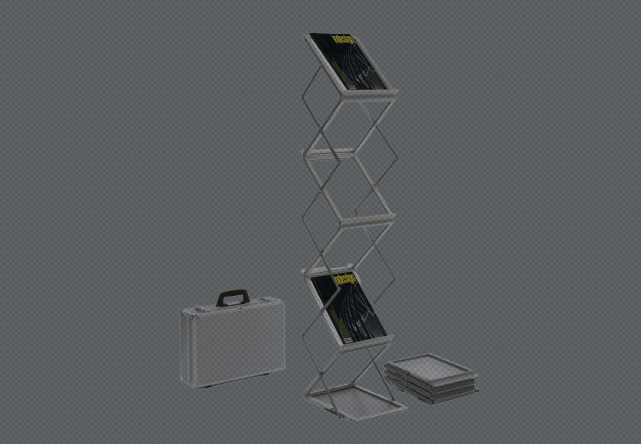 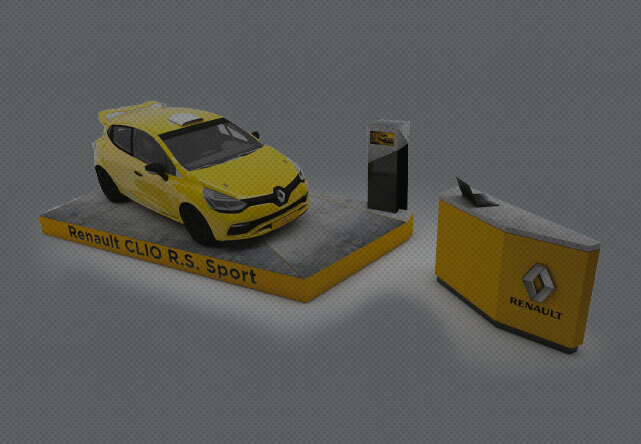 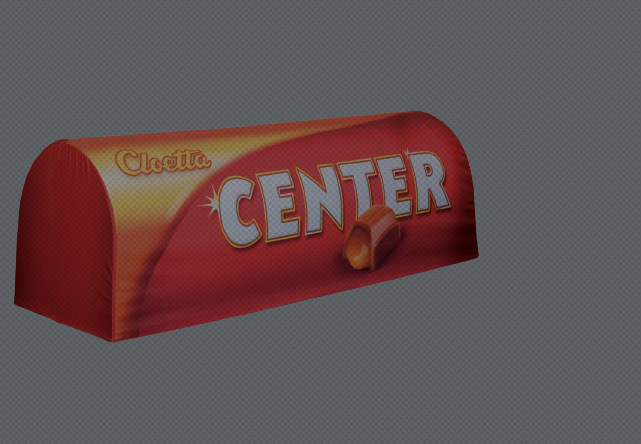 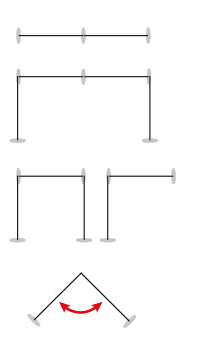 Use as a single or double sided display. 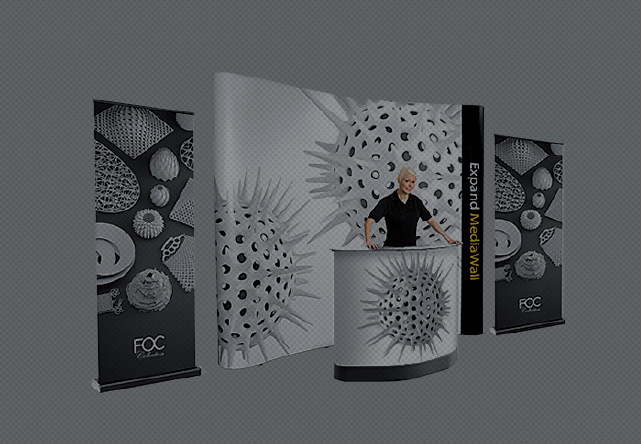 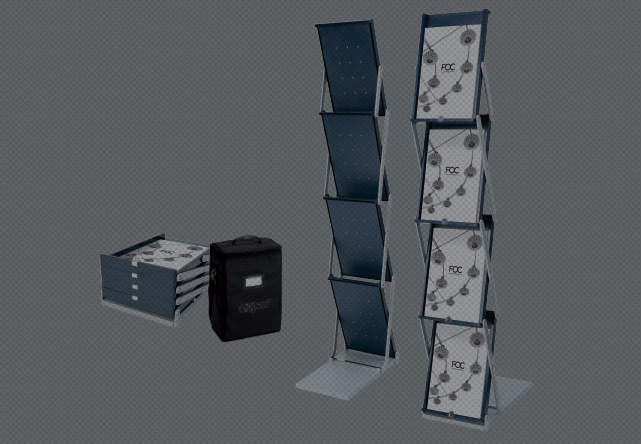 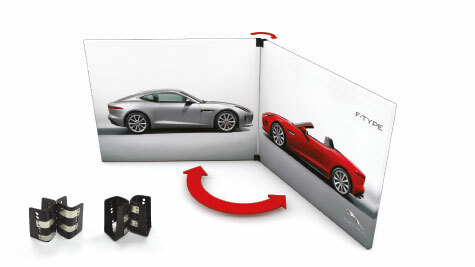 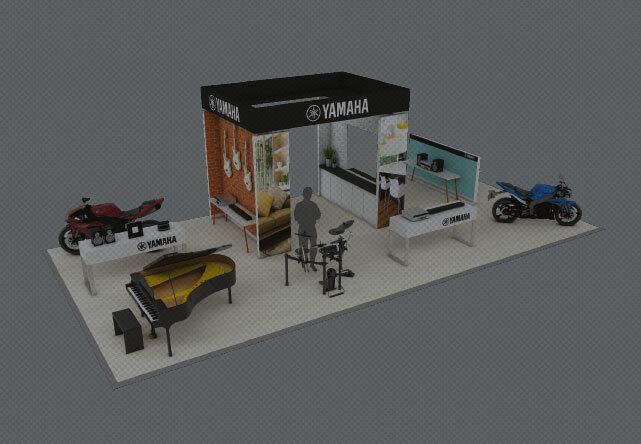 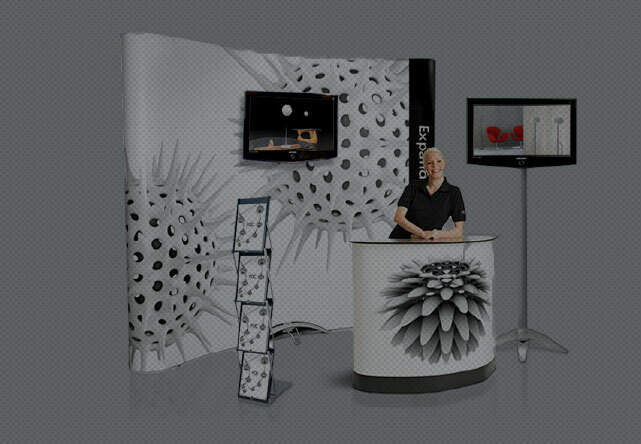 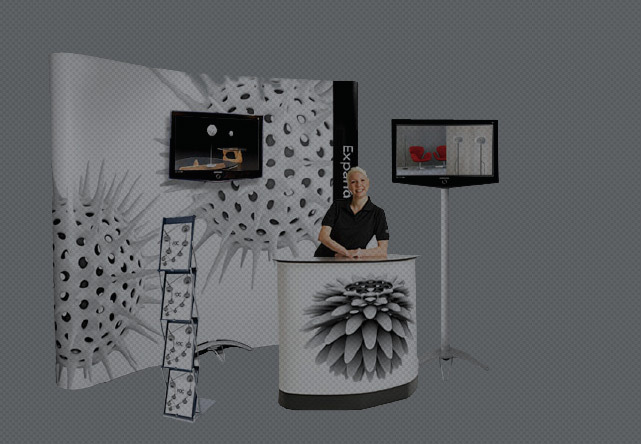 The Expand GrandFabric backwall fits into our Expand PodiumCase, a combined counter and transport box on wheels. 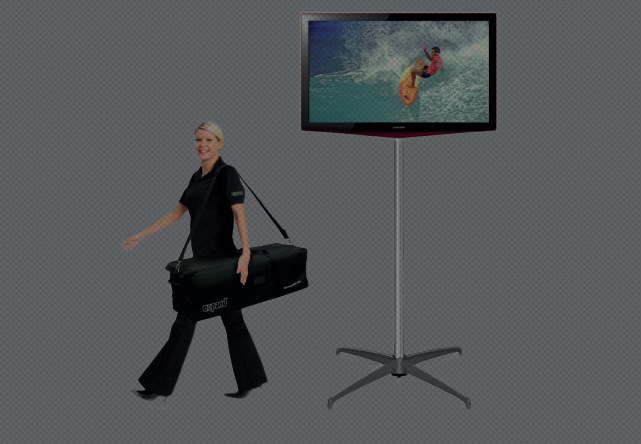 It can also be delivered in a nylon bag on wheels. 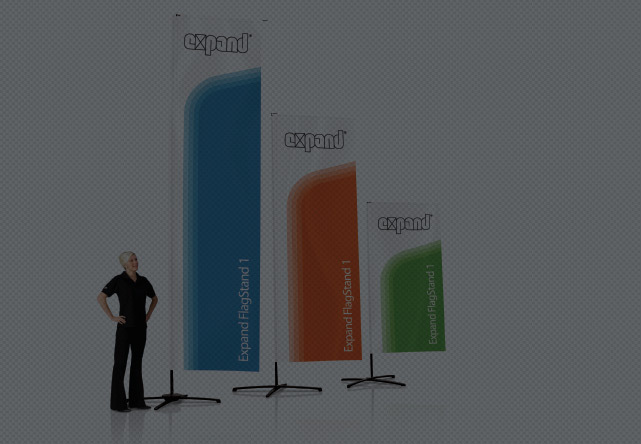 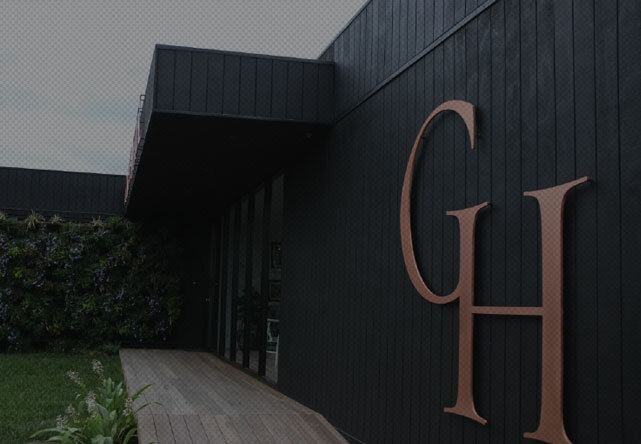 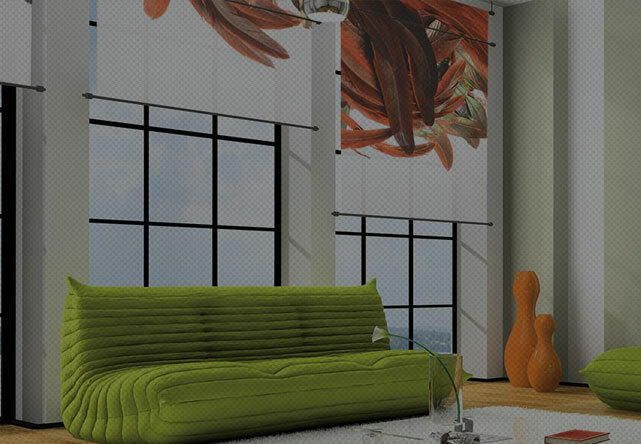 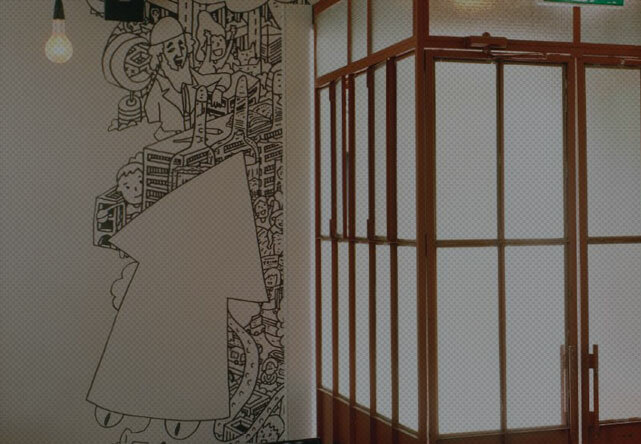 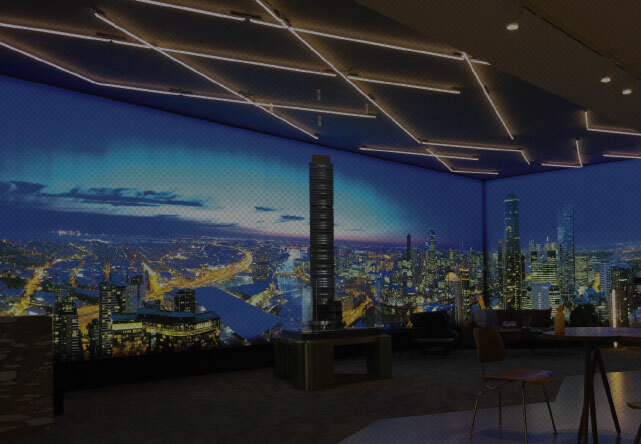 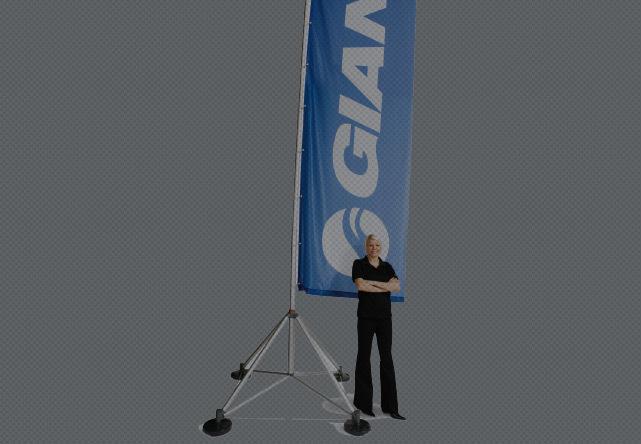 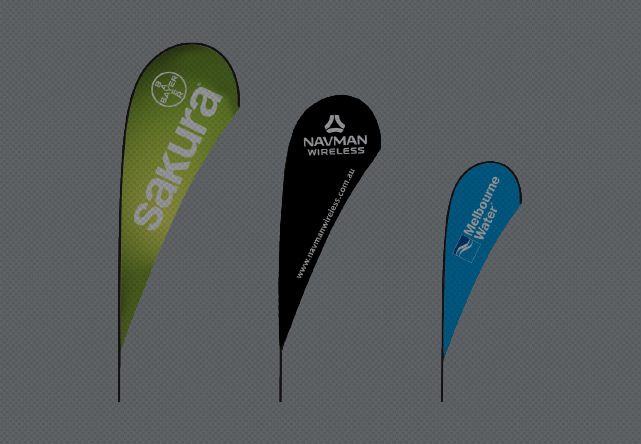 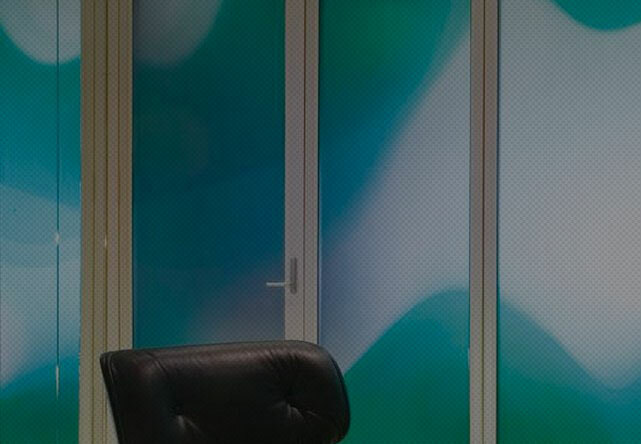 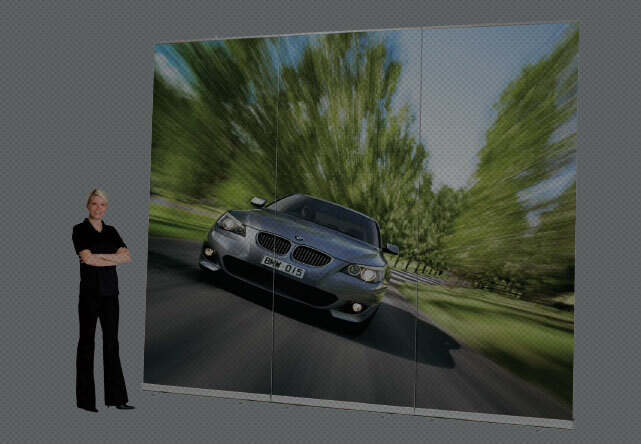 The Expand GrandFabric allows you to rotate the panels to fit your space perfectly.